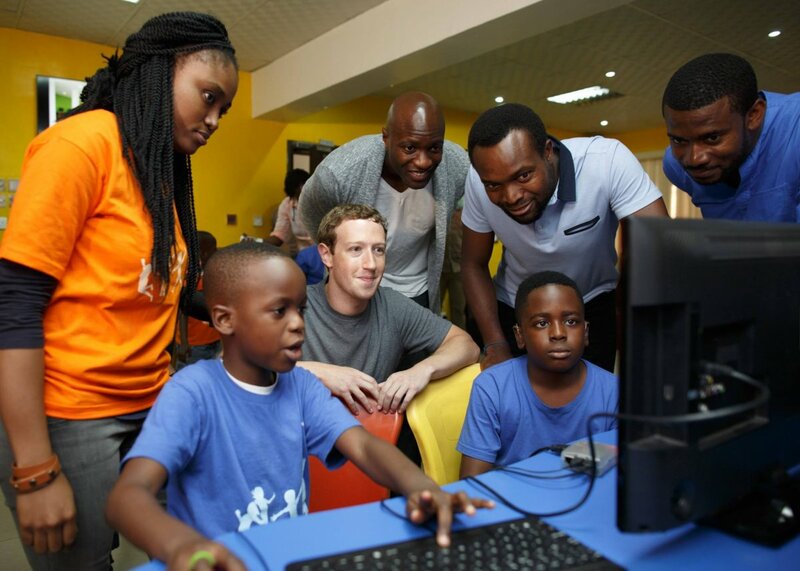 Facebook chief, Mark Zuckerberg who is currently in Nigeria paid a surprise visit to Afrinolly Creative Hub in Ikeja, Lagos. The American-born Jewish billionaire and tech geek had previously visited select tech-hubs in Lagos. At Afrinolly, Zuckerberg met several Nollywood and entertainment stars including Kunle Afolayan, Rita Dominic and Basketmouth. It was a surreal moment for us at Afrinolly, when Mark Zuckerberg paid us a surprise visit. This is one of those moments when you’re not sure if it’s just his gracing us with his presence, or the fact that he found what we do here “interesting” – You tell me! All we know here at Afrinolly is, that his surprise visit has done all lot to boost and affirm our belief in what we stand for – Thank You! Visited Nollywood, crashed a hip hop music video, and met some of Nigeria’s biggest stars.